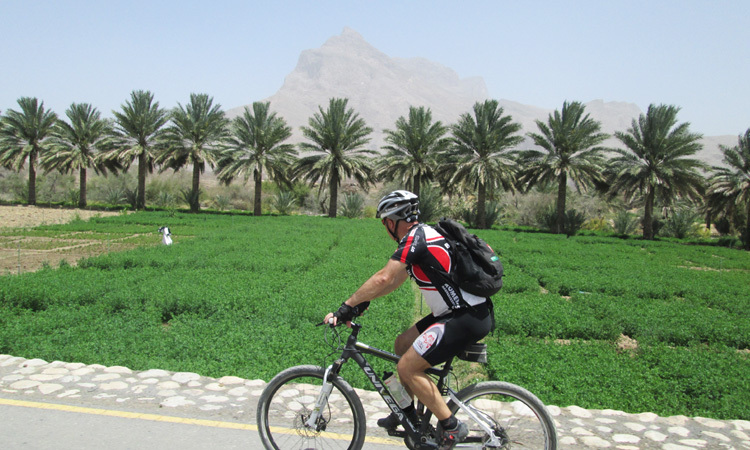 On this mountain biking tour, we visit some of Oman’s greatest natural wonders including scenic Wadis (valleys), green hills, serene oasis, majestic mountains and quiet villages tucked away in the countryside. 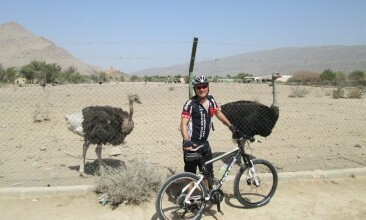 We meet at the Al Hamra shopping street, for this MTB tour. 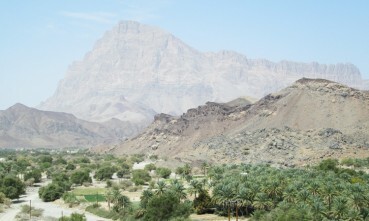 From here the group is transported by car to the starting point of this cycling tour, the base of Wadi Ghul, also known as ‘The Grand Canyon of Oman’. Starting off on a challenging path we follow a steep off-road path to climb up to a small mountain pass. Taking a pause at the pass one can take in the spectacular views from here before we descend downhill. The path eventually meets a paved road which we follow till we reach the ancient Dhum oasis, a hidden green heaven surrounded by the mighty Al Hajar Mountains. 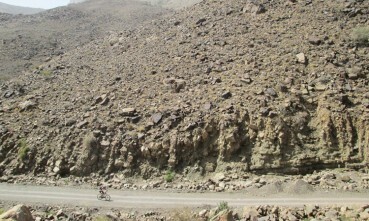 We continue cycling through the quiet roads for few kilometers to reach Jebel Misht. 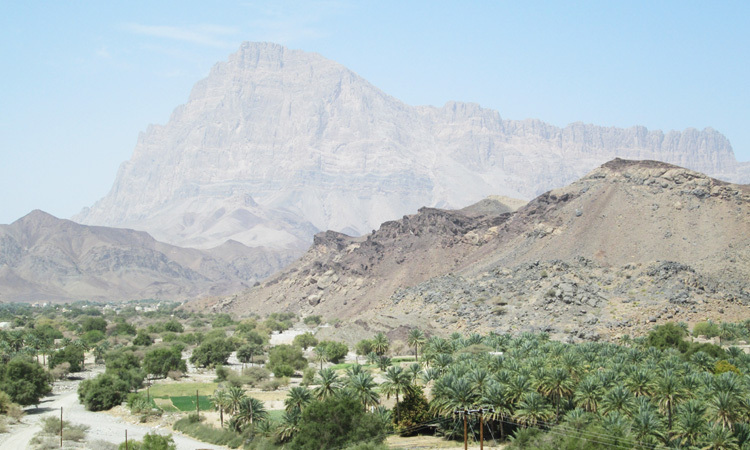 This imposing mountain rising up to the height of 1690m is part of the Al Akhdar Mountain Range. 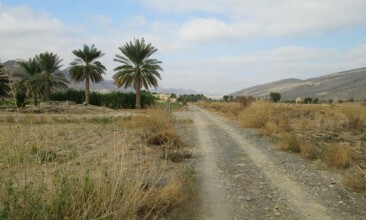 From here we ride towards the village of Sint, set beside an oasis hidden away from the chaos of modern life. We will take a break here for lunch and exploring our surroundings. Post lunch, we’ll tackle another challenging uphill climb to reach the top of the mountain, and then cycle towards another oasis, Wadi Al Ala. 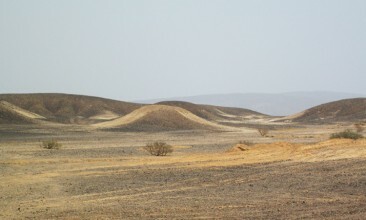 Here we make a short stop so we can regain our energy and admire the contrast of lush green farms and barren land. 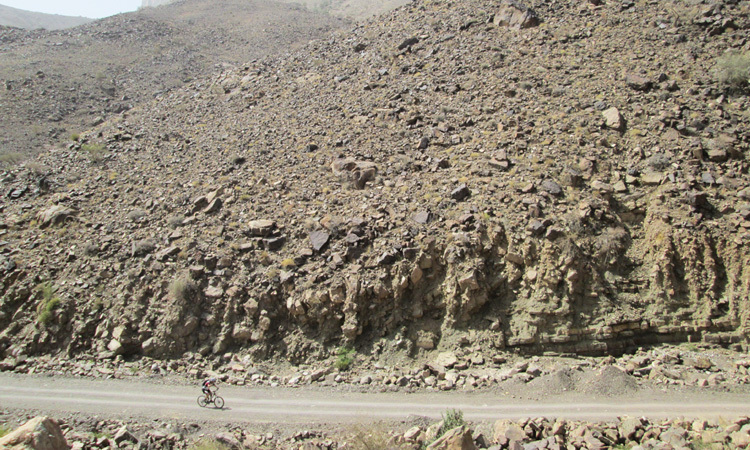 Finally, we start on the last stretch of this 104km long cycling tour where a quiet paved road takes us to the end of the main valley where we continue cycling on an off-road track, over a smaller mountain and further downhill and finally back to Al Hamra.